Lots of people compile lists of their favorite books. So why not book covers? I thought I'd share a few of my favorites. I'd start with Joseph Hirsch. He was a Social Realist painter whose cover of Arthur Miller's classic play, "Death of a Salesman," is...well, social realism at work. 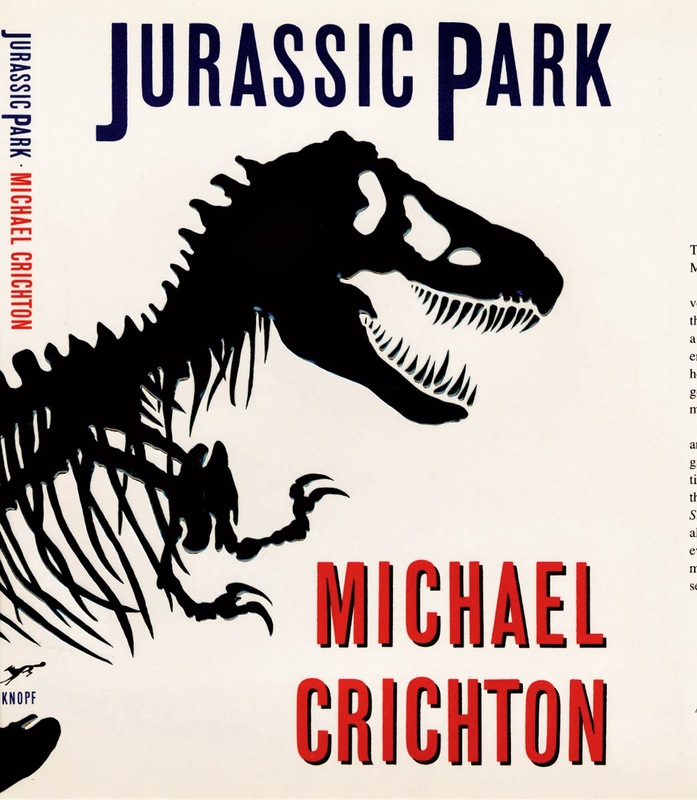 Now, going way more commercial, how about Chip Kidd's iconic vision for Michael Crichton's "Jurassic Park?" (It was so good the moviemakers used it, too). 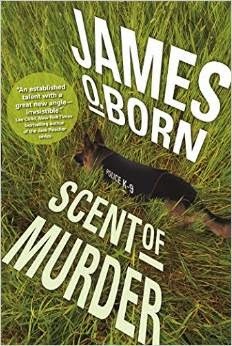 Many people regard fellow Penn State grad Kidd as the finest book cover artist at work today. 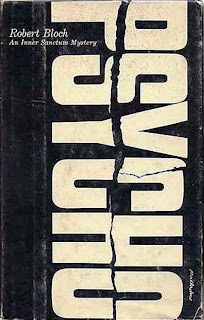 Then there's Tony Palladino's fractured cover image for Robert Bloch's "Psycho," which of course was adapted into the scary-as-hell Hitchcock film. 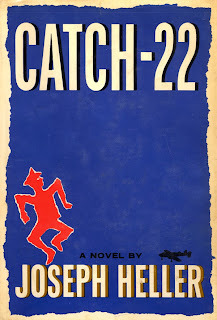 I like (but have mixed feelings about) the cover of Joseph Heller's "Catch-22." It was designed by Paul Bacon, known for large type and small illustrations. Hey, you need good eyesight to find the B-25 bomber. 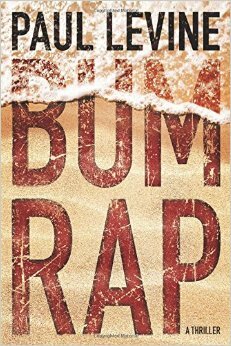 The cover wouldn't fly in the era of the Internet with postage-stamp size images on Amazon, Barnes & Noble et al. Still, the wacky image representing Captain Yossarian strikes me as just the right note. 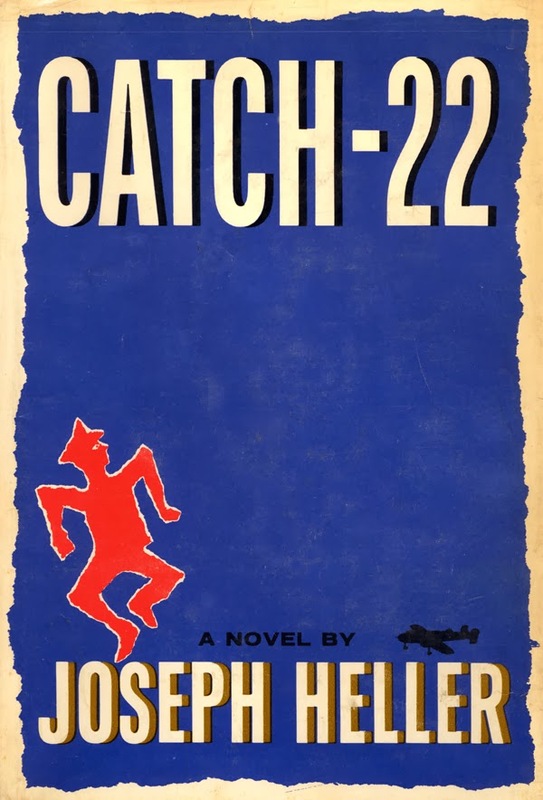 (Like the fictional Yossarian, Heller was a bombardier on a B-25 in World War II, flying 60 combat missions over Italy. 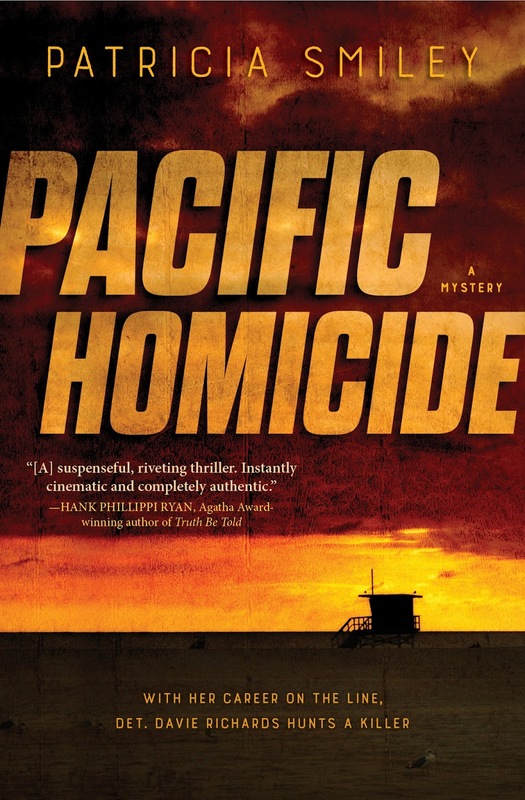 When I met him once in Key West, I told Heller he was my father's favorite writer and that my father had been a navigator on a B-29, flying combat missions over Japan. "Then your Dad's my hero," Heller replied). 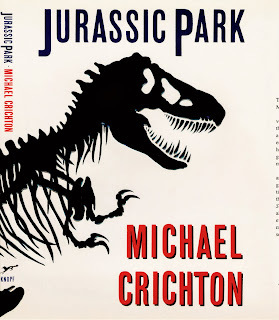 Now, you may disagree with me here, but I really don't like one of the most famous book covers of all time. It's Elmer Hader's illustration for John Steinbeck's "The Grapes of Wrath." Hader wrote children's stories and this cover, it seems to me, is too optimistic and cheery. 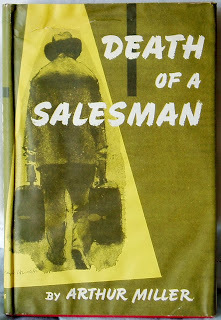 I would have liked something more grim, along the lines of Hirsch's tone with "Death of a Salesman." But I could be wrong. Certainly, Steinbeck would not agree with my position. He chose Hader for the book, approved the cover, then had him do both "East of Eden" and "The Winter of Our Discontent." What say you? And do you have any favorites? 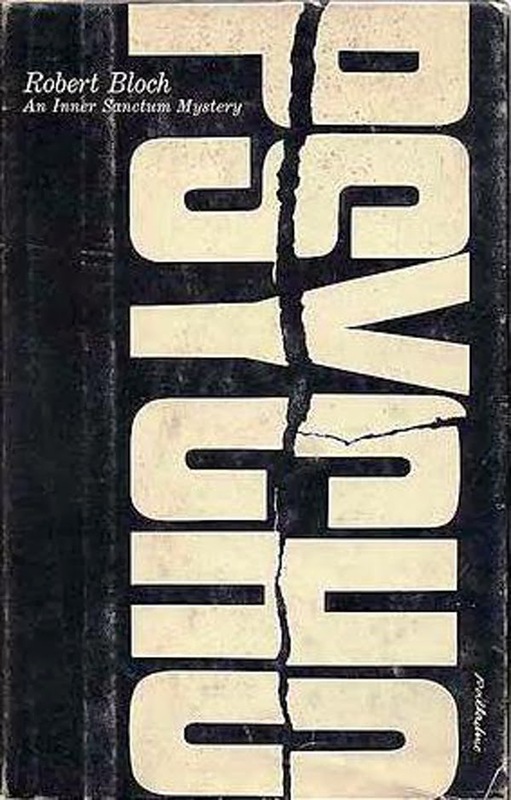 I have great admiration for the artistry of book cover designs. I loved the design of my first Mysterious Press hardcover book: one hundred dollar bills floating through a blue sky. Maybe it just seemed perfect because it was my first published novel...nah, it WAS perfect. 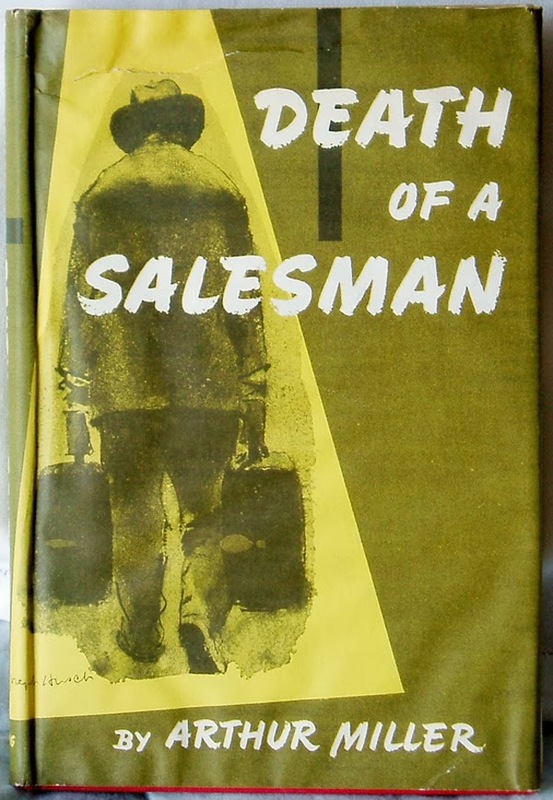 I actually have that Death of a Salesman play with that cover on my shelf from its 4th printing in 1969. I paid $1.25 for it. Hands down, Getting Off by Lawrence Block. I seldom buy books because of their cover but eyed this one at a Friends of the Library sale and it being a LB, had to have it. 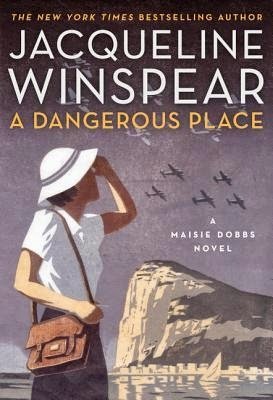 It was an excellent albeit unusual read and really, really enjoyed it. 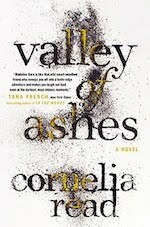 Was happy to put on my list of books read on Goodreads.com. Great blog as usual, Paul Levine. I'm late to Naked Authors this week - but worth the wait to see those covers. 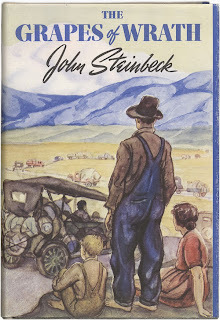 I've always been a fan of Steinbeck, and love that cover for The Grapes of Wrath. Wonderful post, Paul -excellent!